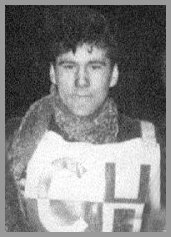 Cradley's own "red devil", Erol was probably Cradley's best known reserve in 1960, he was a right tearaway and very popular with the large crowd then. Extremely popular with the young ladies at that time due his his teddy boy looks. It was a shame Erol never made the big time really he certainly had the 'guts' and took so many knocks due to his ruthless attitude. He was known then as the red devil not because he had red leathers as you would imagine (coloured leathers were not around then) but he was always imaculate in shining black with a flowing red scarf around his neck but it was more due to his scarlet bike, well at least the mudgard and fuel tank, these were actually painted to cover the rust! 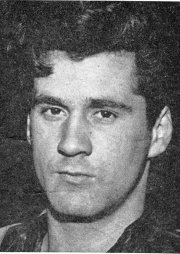 His best year was in 1960 where he drifted in and out of the reserve berth for eight official matches, his best against Sheffield in August when he scored 3 and 2 bonus points from 3 rides. He was talked into coming back in 1964 and again in 1969 but struggled as the team strengths improved.